Very down to earth,Honest. polite and friendly. We have had property sold with him really quick and hassle free process. Always being helpful and quick on response too. Lorraine - Second to none! 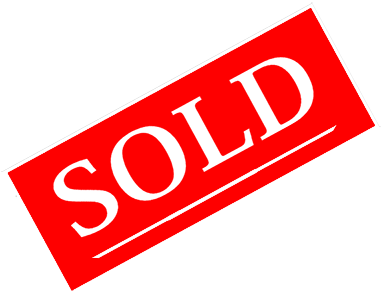 Thank you for all your help with the sale of the above mentioned property. Your dedication to your job is second to none. We have really enjoyed the loving care and affection we received over the last few months while the sale of the property was being finalised. You are a credit to Complete Property Centre! We want to personally thank you for your patience in explaining the details of the sale to us. You were outstanding in this regard! We were also blessed with a quick sale. Your praiseworthy efforts have been noted and appreciated! 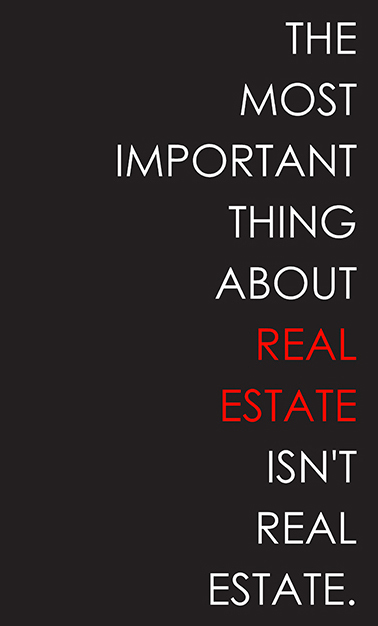 If we ever require services in the future regarding buying or selling property we will certainly look you up. God Bless! I have had the pleasure of working with Lorraine Pointer for the last few months in order to sell my house. From day one she was delightful, friendly and made the entire process incredibly easy. She went to great lengths to work around my hectic, unpredictable shift work schedule to ensure that my house was beautifully presented by putting me in touch with the right people. She answered calls out of hours some of which were made at extremely odd hours in the day and night. She went above and beyond to make sure that I felt supported and was a great advocate for me. She understood and worked within the special circumstances, which lead me to sell my house and made me feel at ease during an incredibly stressful time. After acceptance of the sale she continued to make sure my needs were met and also looked after the buyers needs- no question was left unanswered. Lorraine’s dedication to her job shone through at every stage, she was always friendly to every potential buyer and negotiated the amount I was looking for. She represented complete property with the upmost professionalism and is an asset to your business. I have no doubt that she will achieve great things, and will highly recommend her to any of my friends and family looking to buy or sell property in future. It was a pleasure having her on my team. Great job Lorraine! It was a pleasure dealing with Jay,he answered all of my questions and was very helpful every time I called. He is not an agent that just cares about making he's money he cares about he's clients more than $$$. Please call Jay for great experience . What I liked most was the honesty right from the beginning. Jay and his colleague throughout the selling process, never once pushed anything on us we didn't like. At the beginning, they asked US what our sale target was and they always strived for more. There was ALWAYS a high level of communication to ensure we as vendors knew exactly what was happening behind the scenes almost every hour of every day, and Jay and his colleague were always happy to provide us with information whenever we asked for it. Jay was always understanding of our needs. Jay and his colleague ALWAYS had our best interests at heart. I would highly recommend Jay and the Complete Property Centre if you are looking for service that goes beyond what you would expect from an agent. Thank you for giving me the opportunity to write a review. It am writing this with great pleasure that you have been excellent in customer service when buying our home in 11 Black Range Avenue Craigieburn. It was very easy to communicate with you specially your time flexibility, as I could call you sometime even after hours to discuss my inquiries. I will highly recommend my friends to you if they are buying or selling. We could buy our home with the peace of mind and confidence when dealing with you. I wish you build strong and bright career in your profession. She is an outstanding senior property manager and does so much to look after our property and always has our best interest at heart. Being interstate landlords, you have no idea how much she puts our minds at ease whenever issues arise at our property. We never anticipated the issues that have come about in the short time that we have had our property in Melbourne, she does everything in her power to resolve them for us so we do not have to worry so much. We are always well informed of what is happening and also tells us what the next steps are and what the plan is moving forward. She has excellent communication skills and excels in problem solving situations. I just wanted to let you know how happy we are. I am a firm believer in recognising hard workers that go above and beyond to make sure that their customers are happy. We found Lana - Thank you! My wife and I had been searching for quite a while when we found our new house... and more importantly, we found LANA TRPKOVSKI. Her efforts in advising us about the house, providing her input with regards to the inquiries we made and in helping in all matters of the purchase made a quite difficult process unbelievably seamless. LANA was able to work with both the vendor and ourselves, allowing us to create a fabulous outcome and we are well on the way with the purchase of our new home. We couldn't recommend her and her company any stronger to any would be buyer... and believe she will do her utmost to benefit both Buyer and Seller. and it's you that we have to thank for that! When we were house hunting last year - we met Lorraine and we're thankful we did. House hunting was very stressful as we also in the middle of selling our property in Sydney. Lorraine made this experience a smooth transition for us. From handling all the paperwork to tours of the house during building stage to settlement day; Lorraines professionalism did not go unnoticed. We had a few hiccups on the way but Lorraine helped us through it. We will defintely use Lorraines services in the future and we highly recommend her to anyone. Real Estate needs more like Lana! I would like to thank Lana Trpkovski for her relentlessness efforts to sell our property in Craigieburn. She was honest from the outset & remained honest with us all the way through the process. She was compassionate & understood our wants & needs & acted accordingly. She never gave us false hope or overvalue / undervalue our property in any way, shape or form. She has become a friend to the family & will always remain that way. We thank her for selling our home, while understanding our needs. The Real Estate Industry needs more professional people like Lana as it has a bad reputation. It is people like her that allow people to keep their faith in Sales People. We wish her all the best in whatever she does in the future. Thank You Again Lana for being a Great Salesperson, and a compassionate friend. As we are new Investment property owners we needed to find an agent to manage our property and to look after our best interests. The moment we walked in to Complete Property Centre we were greeted by Tania Novembre and within 45min we had all the answers to our questions and the right information we needed to proceed in leasing our property. We were so impressed we went with Tania’s expertise and her commitment to providing us a seamless and stress less transition of having our property on the market and leased. Tania has proven to be professional in every aspect when it comes to real-estate. Tania’s eye for detail and communication skills stand out from the rest and we highly recommend her service to anyone needing property management. - Glenn and Karen Arnott. We couldn't be any happier with the service that was provided by Complete Property Centre. We never thought that we would get what we wanted for our home but Tim Romeril did such an amazing job and we got more than we thought. An absolute big credit to Tim on achieving great results for us and I would definitely recommend him and his team to anybody. Again great work and good luck. My wife and I would like to thank Tim and the team at Complete Property Centre for everything they did. They went above & beyond. Very professional team. Highly recommended. It was a pleasure to deal with him, We couldn't have asked for better service. If you want to deal with really good honest genuine people, you can't go past Tim at Complete Property. Everyone else in the property game is all in it for your money and nothing else. Tim will never disappoint anyone. He has a very professional team. Highly recommended to anyone thinking about buying, selling or even renting with them. It was a pleasure to deal with him, Keep up the great work, We will continue sending clients your way. Thank you. Tim was a pleasure to deal with. He offered excellent ideas and was straight forward with communication. We are in WA so the communication we received via email and calls to keep us up to date were excellent. Our house sold very quickly and for above our expected price. I would recommend Tim to anybody that needed to sell a property. Regards Mark . Perfect agent for the sale..
We recently sold our home through Tim and the team at CPC. Tim impressed us as being very knowledgeable of the local market and good at managing our expectations. Tim always maintained his positivity and he continuously followed up with potential buyers and ourselves. Excellent service and professionalism by Tim and the team. Tim was sincere and helpful from beginning to end. Just the type of person you need when selling your first home. Would definitely recommend. Honest, hardworking – a quick sale wanted, he’s a definite must. Our experience has taught us he’s the only one of his kind. Tim Romeril will sell it, where his rivals would fail. Once you meet Tim Romeril, you’ll find he’s the lad. We’re going to have a laugh, and say “Well, we told you so”! Let me start the review with a "heartfelt thank you" to Tim. Today it was my first day of house hunting. Tim came back to the property specially to show us the property and took his time to listen. He was even encouraging and making some suggestions on getting the property "within my budget" when I told him the property was over my budget. I understand that up-selling is what most of salesperson attempt to do. However, Tim surprised me with his genuine personality and just being really wanting to "assist customers in getting their home within their budget"! Highly recommended. My wife and I would like to thank Tim and the team at Complete Property Centre for everything they did. Tim went above & beyond. Very professional team. Highly recommended. It was a pleasure to deal with him, We couldn't have asked for better service, thank you! Highly Recommended Real Estate agent! Highly Recommended Real Estate agent! See Tim for all your renting, buying or selling needs! Our experience having Tania Novembre as our property manager, has been exceptional. She is extremely capable and has put our minds at ease from the very beginning. Tania worked quickly to get our property photographed and online for advertising. As we live outside of Victoria, Tania visited our property and liaised with our builder and broker for us. Nothing was a problem for Tania. She kept us informed when necessary. Within days of our property being advertised, Tania had found a suitable tenant. This was beyond our expectations and we are so grateful to her. We would not hesitate in recommending Tania to anyone. She will ensure that any property is managed, stress free and is a pleasant experience! Couldn't ask for better service, thank you! Tim was a pleasure to deal with, he went above & beyond and found us our dream home. Couldn't ask for better service, thank you! I would like to thank Tim for finding us a lovely home that suits the whole family. He listened to our requirements and then spent much time showing us houses that fit. His great service didn't finish with the sale, with Tim following up and giving helpful advice even beyond settlement. Thank you for all your assistance.